I lived two doors down from the Alpha fire house when I was a student at Penn State. I was used to the sirens at all hours of the night, and looking in the station as I walked by multiple times a day. This weekend during their annual open house that station had a different look, with all the trucks pulled outside, smokey the bear waving to passerby's and kids running around the station. 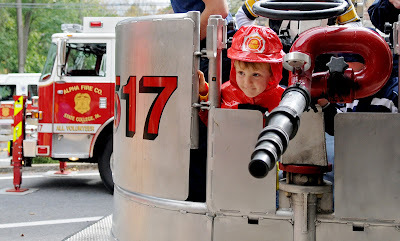 The reporter and myself found how adorable it was that almost every kid there had some sort of fire truck or fire fighter apparel. 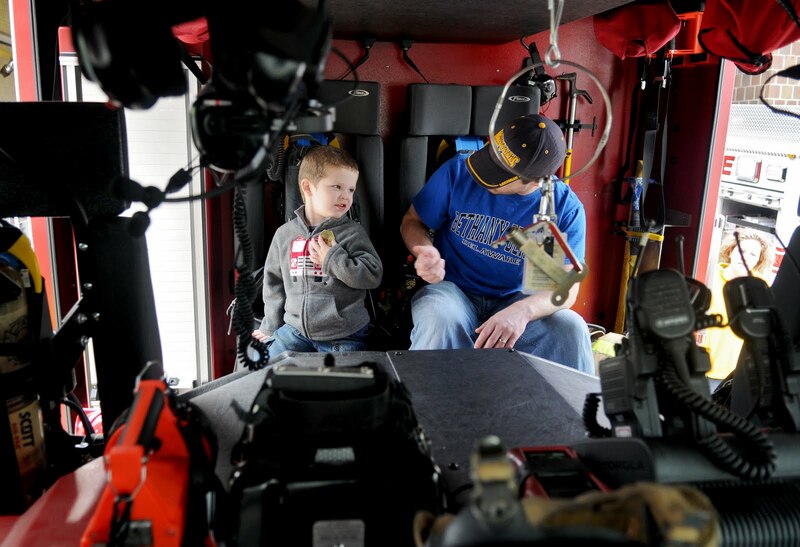 From ladder truck rides to sitting in the trucks, the kids were smiles all around.